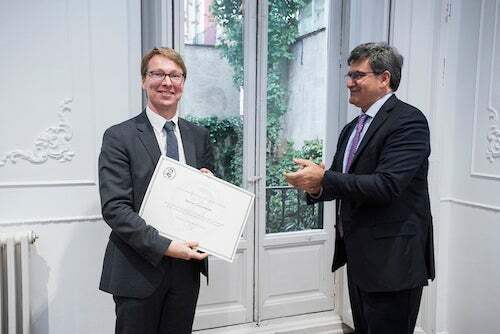 Professor Van Nieuwerburgh was awarded the 15th Edition of the Bérnácer Prize for his influential research on the transmission of shocks in the housing market on the macro-economy and the prices of financial assets. The Bérnácer Prize is awarded annually to a European economist under the age of 40 who has made significant contributions in the fields of macroeconomics and finance. Earlier this semester, three MBA candidates from NYU Leonard N. Stern School of Business, Caitlyn DeWitt, Amy Yazdian, and Katherine Shinkareva, had the opportunity to attend Temasek’s Ecosperity 2015 conference in Singapore. The conference’s focus was urbanization and developing sustainable cities.